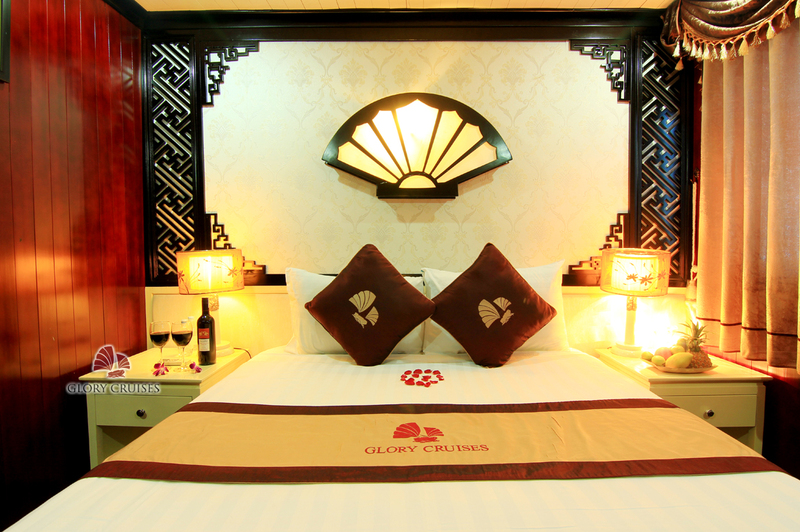 The Glory Cruises Experience is an immersion in culture, heritage and natural beauty of one of the most enchanting destinations in the world. The Cruises offer an unforgettable ambiance of relaxed elegance with service of five star quality. After having coffee and tea, we will continue cruising. 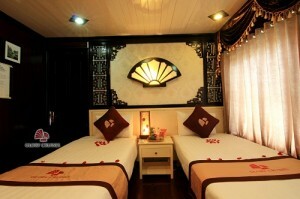 Today, we will visit the one of the most splendid cave inHalong Bay called Sung Sot Cave (Amazing cave). 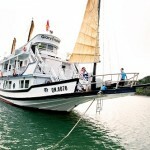 After checking out, we enjoy a fantastic cruise on the bay, passing Dinh Huong Island, fishing villages, Ga Choi Island, Dog Island and Sail Island. Buffet brunch (breakfast/lunch) was served while cruising back through Halong Bay to the pier. We will farewell to the crews then our drive will take us back to Hanoi. 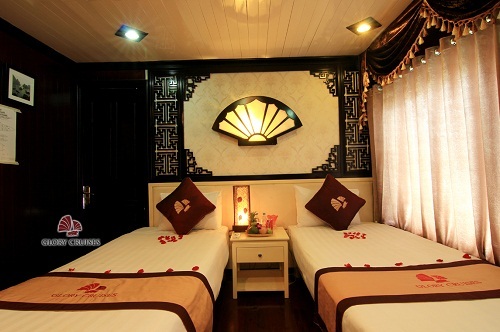 Along the way back, we can stopover in Dong Trieu town to visit a ceramics workshop. End of the trip.